With 23 works in process and 22 postponed to 2019, the Department of Education say that they are dealing with the removal of asbestos from the roofs and ceilings of a number of schools and institutes in the Province that were built in the 60s and 70’s. However the CC OO teaching federation says that they are not doing enough as there continues to be a regular trickle of new cases reported to their office. 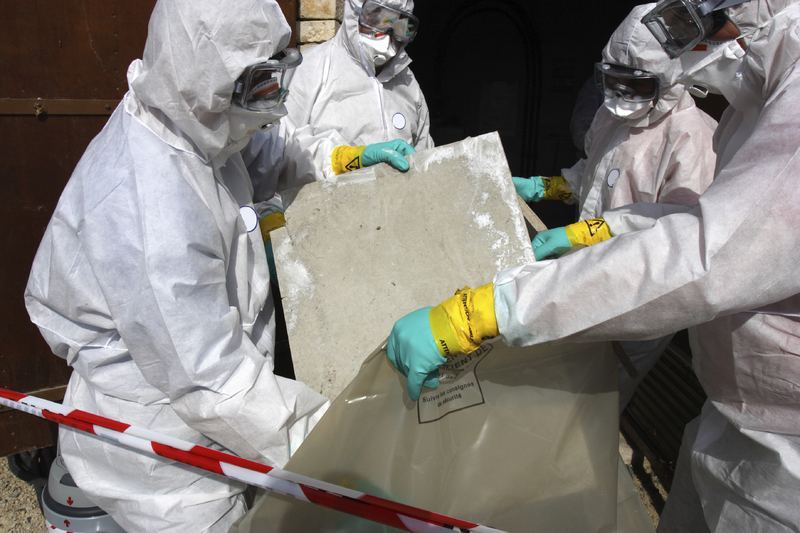 “The appearance of new cases is continuous,” said delegate Pau Díaz, estimating that so far the union has collected details of at least a dozen new cases of schools with asbestos across the provinces of Valencia and Alicante “but with more in Alicante,” he says. “Public pressure and the complaints from the unions are ensuring that the authorities continue to remove asbestos materials from schools, but we must remain vigilant,” warns Diaz. At the moment, actions to remove the substance is being carried out in about twenty centres in the province, and there are another 22 schools where preparatory procedures are under way. A further 23 schools have had the removal postponed until 2019. The Government says that in the case of these schools the surfaces to be cleaned are fewer than and not as urgent as the others that have already been approved.